Sheila is a mime and teaching artist who has conducted residencies in schools for 30 years. She performed and taught with TOUCH Mime Theater. She wrote The Performer’s Guide to the Collaborative Process (Heinemann, 2001). She has been an A+ Schools Fellow since 2001. She has taught Community-Based Performance at Duke University and led collaborative creative processes with all ages. She works with schools to build cooperation skills, foster trust, and strengthen creative collaboration among faculty and staff. Sheila integrates Theater Arts with English Language Arts, Social Studies, and Science in grades K-8, and she uses mime and drama to teach communication and collaboration skills to all ages. She has trained with the Kennedy Center, Trinity College (Dublin), and Lincoln Center. Jef is a mime, mask-theater, and variety arts performer and teaching artist. From 1976 to 1993 Jef was a member of North Carolina’s TOUCH Mime Theater. He’s been a teaching artist for 34 years. He’s been an A+ Fellow since 2009. Touch Mime Theater received the Award for Excellence in Theater for Youth from the NC Theater Conference. Jef received the Herman Middleton Service Award from the NC Theater Conference, and the Standing Ovation Award for Service to the Field from the NC Theater Arts Educators. Jef’s lessons integrate Theater Arts with Physical Education, Language Arts, Social Studies, and Science curricula. September is a fiber artist and educator based in Wilmington, NC. Originally from Harrisburg, PA, her early interest in fashion led her to the Textile Design program at Philadelphia University, followed by many years in a wearable art studio producing a line of women’s silkscreened clothing. After completing her graduate studies in Textiles at ECU, she joined the faculty at Southeastern Community College as their art instructor in 2011. While in graduate school, she began work with arts integration through the A+ Schools program. She joined the A+ Schools Fellows, and teaches arts integration to teachers. 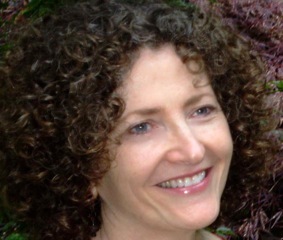 Faye is an internationally recognized leader in educating for creativity and arts-integration strategies for learning. She has worked with schools, universities, education and arts organizations in nearly all 50 states, and many countries. Faye draws on her musical and dramatic training and experience in support of cultural traditions, developing curriculum in all content areas based on world cultures. She has designed, consulted, reviewed, and developed program models for state and federal governments, as well as private initiatives. Faye has taught Pre-K through college and adult education. She holds an undergraduate degree in Music Therapy, a Masters in Education specializing in Partnership Studies, and a PhD in Education from the University of Canterbury in Christchurch, New Zealand. Her research has centered on culturally responsive pedagogical practice and creativity, with specific study and curriculum development based on African American, Maori, Native Hawaiian, and Oneida cultural traditions. Faye is a national teaching artist for the John F. Kennedy Center for the Performing Arts, specializing in professional development of teachers, school leaders and teaching artists. She has presented conference keynotes, workshops, seminars and institutes from England to India, Norway to New Zealand, and in her own backyard in the southeastern US. She is a co-founder of Dogwood Learning, an online professional development resource for educators. 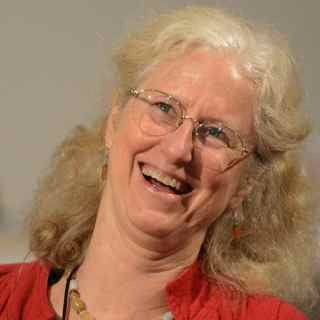 Faye has written about creative processes and culturally-responsive learning and the arts, and has published in academic and practitioner journals, texts, and curriculum resources. Joe Appleton is a retired kindergarten teacher, and he worked in the NC Governor’s Office and the NC Dept. of Public Instruction as a pre-kindergarten consultant. When Mr. Appleton was teaching kindergarten, the crew of the Oprah Winfrey Show filmed in his classroom, and then he appeared as a guest on the show. Mr. Appleton is working on DPI’s Assessment Design Team to write the new legislatively mandated Kindergarten Entrance Assessment and Kindergarten-Third Grade Formative Assessment. 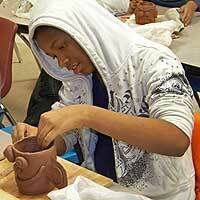 He is a Fellow with the A+ Schools program, and has worked as an artist-in-residence for the Durham Arts Council. Beverly Botsford blends music, movement, and spoken word in solo and ensemble presentations. Embracing drumming traditions and inspirations of Africa, Cuba, South America and her native North Carolina, she weaves colorful rhythmic tapestries with an array of collected and homemade instruments. Recent highlights include work with the Urban Bush Women Dance Company, performances with Nnenna Freelon in London, Greece, Brazil, and Angola, and in Hawaii for President Obama and 200 heads of state. Dan is Professor of Music Education at the University of North Carolina Wilmington. As a teacher-educator and author, his research has focused on cross-cultural comparisons and critical thinking in music education. For over two decades, Dr. Johnson’s teaching experience has spanned the PK – university gamut. He has taught for public, independent, and community-based schools in Massachusetts, Vermont, New Hampshire, Arizona, and North Carolina. Also a Fellow with the A+ Schools Program, Dr. Johnson has presented teacher education workshops through the world, reaching hundreds of teachers and thousands of their students. Martha worked in education for 25 years. She was certified in Visual Art K-12 and Elementary Education K-6. She taught Visual Art in grades kindergarten through twelve for fifteen years and worked as an elementary classroom teacher for six years. In 1994 she became a Fellow in the North Carolina A+ Schools Program where she served in a leadership role in the design and presentation of professional development workshops on the topics of Curriculum Mapping, Arts Integration, Multiple Intelligences, Collaboration, Enriched Assessment, and Experiential Learning for teachers in North Carolina, Oklahoma, South Dakota, Arkansas and Wisconsin. She was also a principal in the development and presentation of training for teaching artists for the A+ Schools Program in Maryland and North Carolina from 2005 until the present. In addition to her work in public schools and with the A+ Schools, Martha conducted integrated arts residencies from her own art studio, South Moon Studio, in clay, book arts/creative writing, murals, and wildlife gardens for both elementary and secondary students. Whether working with teachers or with students, Martha used visual art experiences as a context from which to explore concepts and skills from across the curriculum. Since 1989, Martha designed and facilitated professional development for teachers and teaching artists for New Hanover County Schools, Pender County Schools , Brunswick County Schools, Sampson County Schools, the Pocosin Folk Arts School, The Arts Center in Carrboro, and the United Arts Council of Wake County in North Carolina, for the South Dakota State Arts Council, and for the North Carolina Art Education Association.